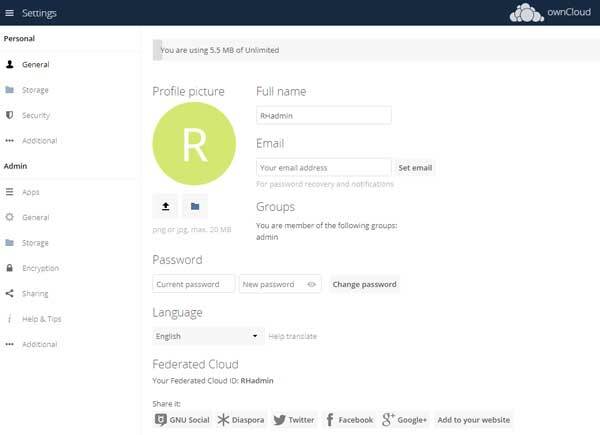 Today we have a tutorial on how to install ownCloud 10 on CentOS 7. ownCloud is a popular open source web application used for data synchronization, file sharing, collaboration . It is a cross-platform and super easy to use application that that offers a great security and total control of your files.You can use our Server Support Services, and we will install ownCloud on your private server with easy, and we will do all the configuration and hardening required. 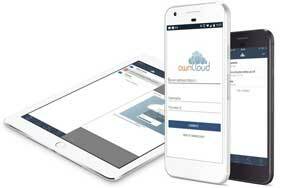 We are always available via the Live Chat option in the bottom right corner of our website, where you can ask for more info, about time-frame, pricing, etc.. Let’s get started with installing ownCloud 10. PHP >= 5.6 (PHP 7.0 or above is recommended), with the following PHP extensions enabled: XML (Expat), curl, PDO, Phar, GD Graphics Library version 2.0.x+, DOM, ctype, JSON, iconv, intl, mcrypt, openssl, bz2, Zlib and Zip. MySQL >= 5.x (MySQL 5.5 or later is recommended), MariaDB 5.5+, PostgreSQL, or SQLite installed on your Linux virtual server. Let’s start with the ownCloud installation procedure. You can set the post_max_size and upload_max_filesize values according to your needs. Install a new SSL certificate from Let’sEncrypt, or obtain a new SSL certificate from some Certificate Authority. Replace ‘yourdomain.com’ with the actual domain name you want to use to access the ownCloud installation. Open https://yourdomain.com in your favorite web browser, create a new administrator account (set an admin username and password), click on ‘Storage & database’, change the ‘data’ directory to ‘/opt/data’ (do not leave the default setting ‘/var/www/html/owncloud/data’). Click on ‘Configure the database’, select MySQL/MariaDB, enter the database information (MariaDB username, password, database name and localhost:3306 as MariaDB hostname/port) and finally click on the ‘Finish setup’ button. That is it, the OwnCloud 10 installation on your CentOs 7 server is now complete. 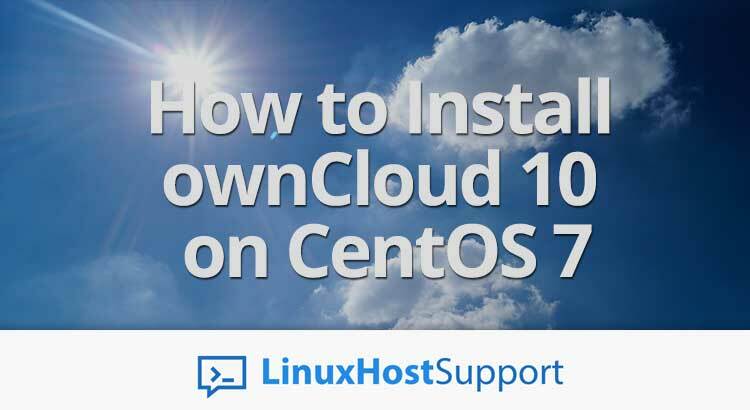 Of course, you don’t have to install and configure OwnCloud 10 on a CentOS 7 VPS, if you use one of our Hosting Support Services, in which case our expert Linux admins will to install and configure OwnCloud 10 on CentOS 7 for you. They are available 24×7 and will take care of your request immediately. PS. If you liked this post on how to install and configure OwnCloud 10 on a CentOS 7 VPS, please share it with your friends on the social networks using the buttons on the left or simply leave a reply below. Thanks.